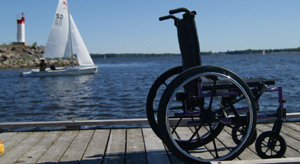 Leave your wheelchair or other mobility aid behind and enjoy the independenc e and freedom that one experiences when wind, sun and spray join forces to make a perfect sailing day. 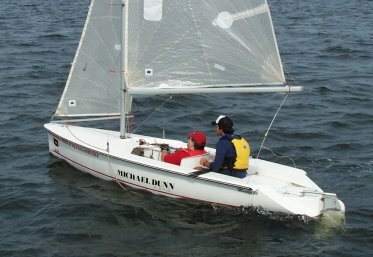 With Able Sail / Handi-Voile, you can learn to sail and experience the freedom it provides on our specially designed Martin 16 sailboat. It's a perfectly stable boat that allows you to comfortably and safely learn to sail accompanied by one of our qualified staff members. They'll take you out on beautiful Shediac Bay and teach you all you need to know. The controls are easily accessed from the front seat. Once you feel confident enough, you can sail the boat on your own but a safety boat will always be nearby. So give us a call and make an appointment. Our operations for the summer of 2016 began on Wednesday, June 29th.